We have so many projects to share with you. Heading into spring/summer you might be interested in covering your feet with some cush and style....therefore I present... the French Press Slippers. You can buy the pattern, buttons and yarn with us..or just the pattern at ......If you are local just come on in and we will help you with your selection. To purchase the materials from an off site location...just give us a call or shoot us an email and we will be glad to put the materials together for you. 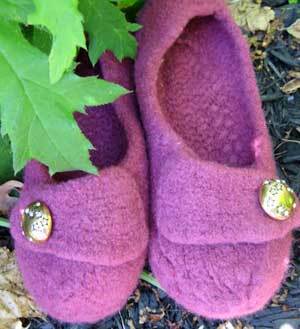 The slippers are quick, easy and inexpensive.